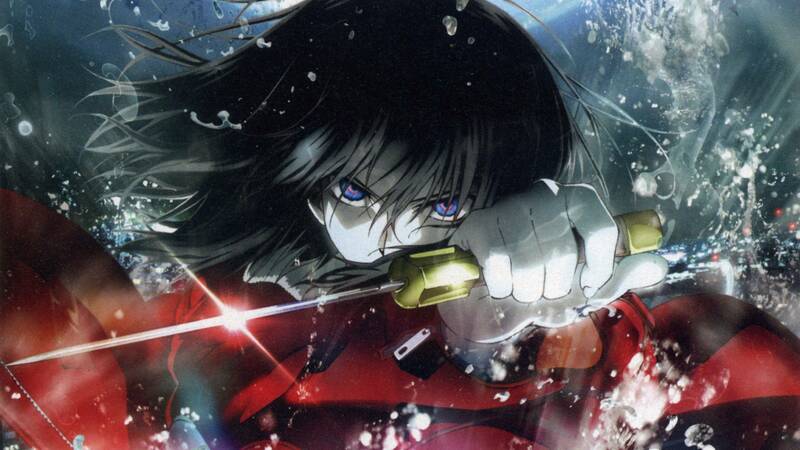 The anime adaptation of Kinoko Nasu’s light novel, Kara No Kyoukai (Boundary of Emptiness or alternatively, Garden of Sinners), demands in its audience some of the rarest, most precious of qualities – a keen eye, a sharp mind and an unwavering attention to detail. Split into seven movie length instalments, Kara No Kyoukai follows the story of Ryougi Shiki, a strange, aloof young woman whose eyes can perceive the ‘death’ of the objects she sees; and Kokutou Mikiya, a kind young man who takes an interest in her. It is a lean, almost minimalistic story in some ways; the cast of characters is fairly small story’s scope doesn’t extend too far beyond the characters themselves. 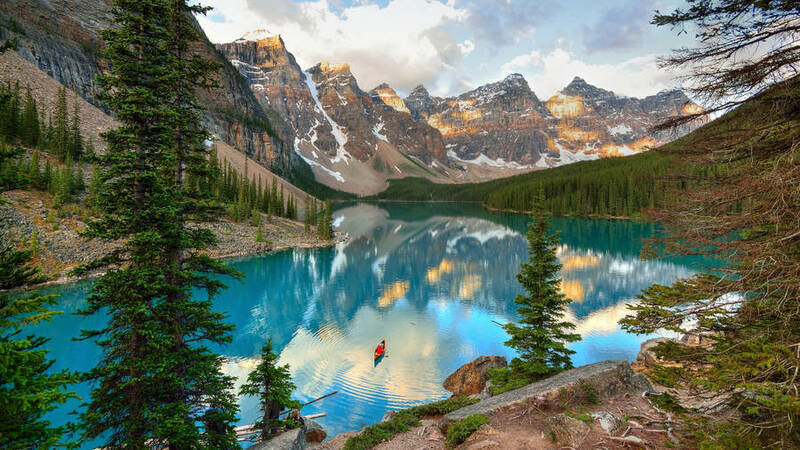 Within these parameters, however, there is plenty of depth and vibrancy – whether in the richness of the world itself or the various characters’ numerous internal conflicts. Appreciating these things is no mean feat, however as Kara No Kyoukai doesn’t exactly hold the audience’s hands as it tells its story but instead relies on the audience to observe and understand. Passive viewers shouldn’t despair too much though; animation studio Ufotable’s visuals are characteristically gorgeous and even if you miss out on the story and character development, the action and animations ought to be entertaining enough to pull most casuals viewers through. The division of Kara No Kyoukai into seven parts (plus some additional bits that offer closure and context) gives the series an episodic feel. Most of the story’s strengths and weakness are a direct result of this division. On one hand, each episode tells its own self-contained story, complete with introduction, complication, climax and conclusion and as a result, each movie feels like an acceptably entertaining and satisfying, self-sufficient entity. Furthermore, given that the series was written as several different stories, the division into different movies is logical and true to the original work. On the other hand though, the trouble with the division is that, beyond the shared cast of characters, there isn’t enough to connect the individual episodes together and piece them into a larger story. There is no overarching storyline that ties the seven movies together; instead, the movies have connections to each other – the first, third and fifth movies form an arc of sorts while the second and seventh movies connect very well as well. Arguably, there isn’t exactly a central villain to tie the movies together either, though there is a strong case to be made for that being Araya Souren’s role. It doesn’t help that the cohesion of the series that the stories are told out of order. 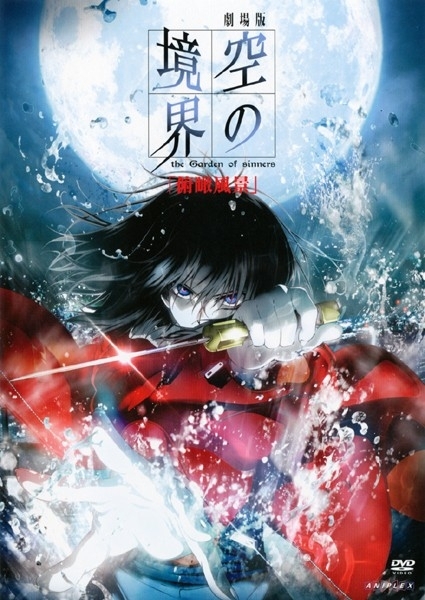 In some series, the non-linearity creates mystery and tension that is essential to the series’ central conflict or sometimes the ordering can even help make a story more coherent than a chronological telling but in the case of Kara No Kyoukai, there doesn’t seem to be much of a reason for the ordering apart from deliberately making the story a little more challenging to digest. The disorientation the non-linear chronology creates is exacerbated by having a new director for each instalment. Depending on your familiarity with the medium, the differences can be either unobtrusively noticeable or utterly jarring. That there are differences though, is undeniable and these changes affect the tone, the pacing and overall feel of each movie. That said however, there really isn’t that much to complain about regarding the rotating directors since while each director naturally has a different approach, the quality of the final product never really wavers all that much. If there is any sort of overarching story to Kara No Kyoukai, it is probably carried by the various themes that connect the movies. There are some works of fiction that rely to power of the narrative to carry the story through to the finish line while others which rely on character development or our engagement with the setting. Kara No Kyoukai doesn’t rely on any one of those devices but rather pushes through with a mixture of all three. Far from diluting the effect, it ends up reinforcing the things that the story (ostensibly a murder mystery), the characters and the setting (dark, violent, urban) have in common. The series’ themes include isolation, hopelessness and internal struggle. Each of these three themes is propagated through different aspects of the story. Isolation, for example, is an idea that appears to be suggested again and again in the series’ setting – the city that characters reside in is a grim one and very often, especially in the scenes at night, the streets appear hauntingly empty and give the story’s horror aspirations a good amount of mileage. The notion of internal struggle and fighting against ourselves is one that is emphasized in the story (though there is certainly an argument to be made that the characters push it further), especially through Shiki’s struggle between what she thinks she is and what she wants to be. Lastly, hopelessness is something the characters embody, though in this case it isn’t our protagonists but rather the antagonists. Each of the movies’ villains seem filled with despair and more often than not, it is that despair that leads down the dark road and compels them to do the things they do. For a series that features such aesthetically pleasing action sequences, it is interesting then that all the heavy-lifting of conflict resolution actually occurs within the characters. Kara No Kyoukai can be very graphic at times but at the same time it is a highly introspective work – more often than not, by the time things have reached the stage where violence is inevitable, the conflict in question feels like it has already been resolved and the question becomes less of ‘can the good guys win’ and more of ‘how will they win’ or ‘what does their victory imply’. To some, that might come as a disappointment but the latter questions often leave more of an impact than the former. The characters in Kara No Kyoukai are the series’ greatest assets but when they fail to deliver, the end result can be phenomenally lacklustre. Kara No Kyoukai gets a lot of mileage out of the characters’ badass credentials; a very large portion of the pure entertainment value of the series comes from watching Shiki effortless rip her opponents to shreds. Her character, from both a visual and developmental perspective is the best thing about the series but her supporting cast aren’t slouches either. Mikiya strays dangerously close to the line that separates plain and simple from boring and irrelevant but in the face of all the fantastic magical action going on around him all the time, his simplicity is charming. His boss, Aozaki Touko, is much livelier when she wants to be but chooses to spend more of her time lecturing the other two than actually doing anything spectacular. Yet, hers is the character with the most insight, the one who distils the essence of each movie for the audience. However, as innately watchable as this engrossing cast of characters is, at no point in the movie do they feel human and that makes them very difficult to relate to. Ironically enough, it is the villains, with their numerous mental issues that seem more sympathetic and understandable than the main characters. The trouble with all this is that there are sections of the series that rely on the audience’s attachment to the characters in order to work and if that attachment is insufficient, not just the scene but the entire movie can be negatively affected. The series’ final instalment is more character driven than any before it and while that shift in focus benefited the movie immensely, it would have worked even better had the characterization felt more consistent. In the end though, it does feel like both Nasu and Ufotable missed the chance to create something truly memorable. The characters, the story, the dialogue, the setting; all of these things work fine and, from time to time, work very well yet there are too many flaws in each of them for Kara No Kyoukai to really rise above other stories with similar themes. Kara No Kyoukai has its strengths and on the merits of those alone, it is a series that is worth investing time and effort into but there is an inconsistency to it that pulls the series down – the series makes the audience invested in the destination but fails to make them care enough about the journey. Now that you’re done with KnK its time to see more comparisons between Shiki and a cat. The after chorus does this too. If you are interested in the music in UBW season 2, its about to come out in a day or two. The BD also adds in some extra scenes most notably the UBW good end. I think by this point I’ve said most things I’ve wanted to say about KNK, symbolism, meaning and characters and all that in the individual movie comments, and I can agree with the harassment that it is an esoteric work which doesn’t appeal to everyone. Part of the reason they were made in non chronological order was because the original first few stories published online didn’t have an overarching connection and were more completely episodic, which was changed in the light novel publication, as I recall, so they were told out of order since they were individual stories more or less. I take it you watched MF and Extra Chorus? In any case, since I’ve said all I wanted to and you mentioned some questions earlier, I can try to answer them if you still have any. And now time to read the F/Z review.